surprise your better half with one of these creative Valentine's Day gift ideas. 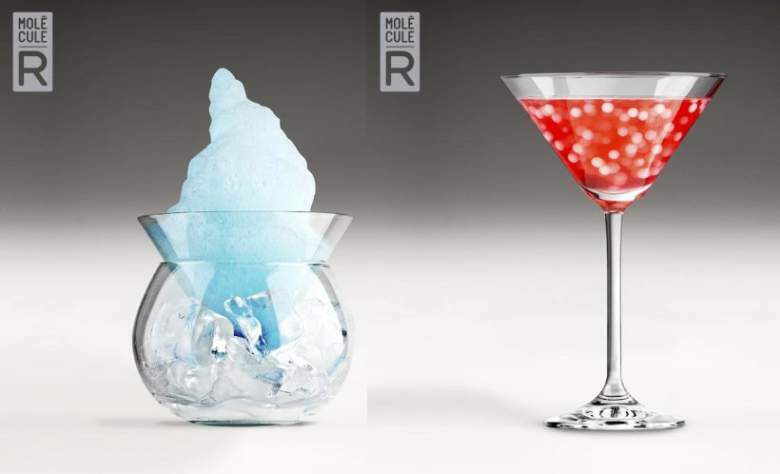 You may have seen some molecular gastronomy starter kits that let you have fun with food, but did you know there are also kits that let you make creative, futuristic cocktails. Molecule R Molecular Mixology Kit is the perfect Valentine Day gift for any gal who is is crazy about cocktails, cooking shows, or science.Using the materials in this kit, she can make the cool molecular cocktails pictured above.The kit comes with all the molecular gastronomy additives you will need to make your first drink, along with pipettes, measuring spoons, and a DVD with 30 cool recipes.